100% Natural. Sometimes what a girl's got to do to maintain beauty is downright despicable. But occasionally there comes along a beauty treatment which is simply decadent, heavenly, intoxicating. This is one of those times. We've combined the best of both worlds, the scientific and the downright yummy way to flush your skin with a powerful boost of anti-oxidants. 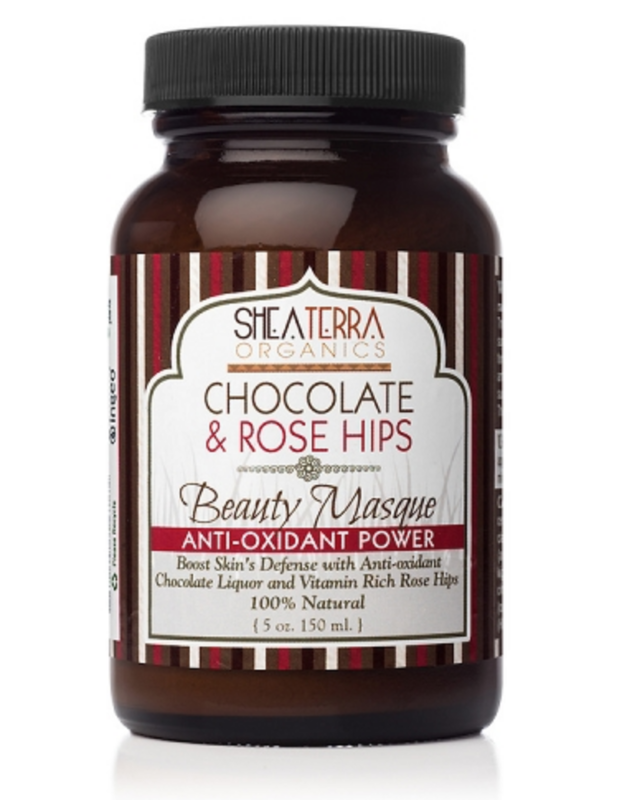 Pure chocolate liquor (the real chocolate stuff before it becomes your chocolate bar) is paired with select rose hips to help slow down and reverse the effects oxidation has on skin, help repair skin cells and help encourage healthy cell reproduction. Powdered rose hips fruit offers a boost of vitamin C while the anti-oxidant powers of chocolate double as a moisturizing skin conditioner. Check out the amazing ingredients below. But forget the health benefits. We just enjoy smearing ourselves with chocolate. Size: 5 oz.